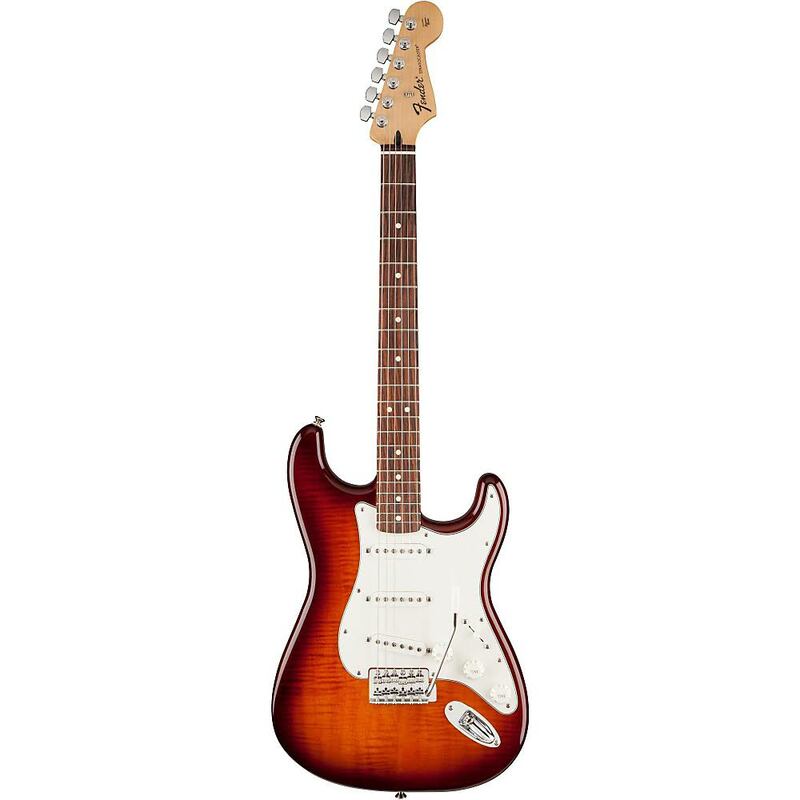 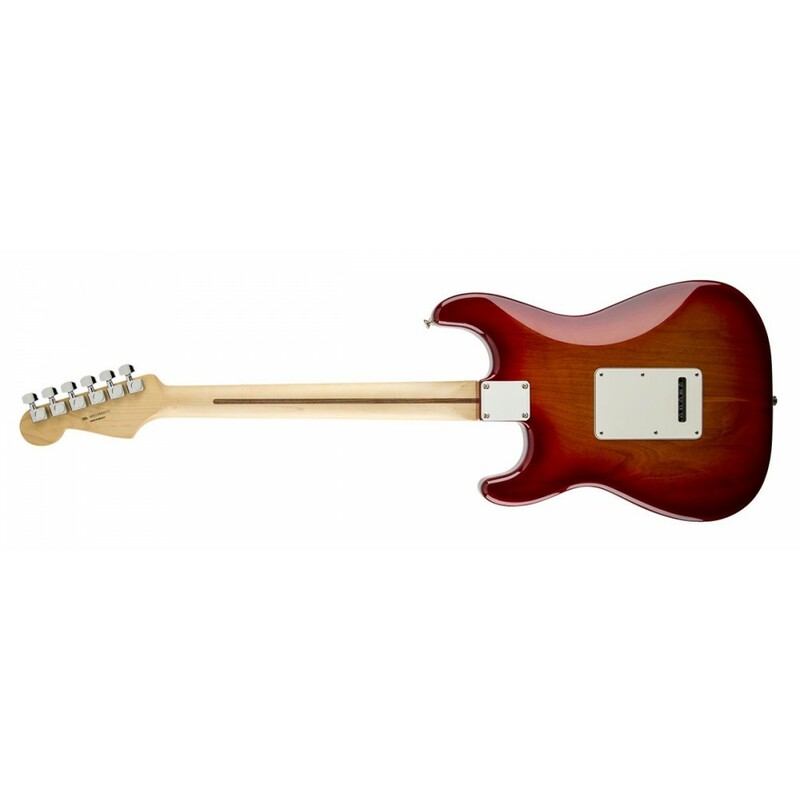 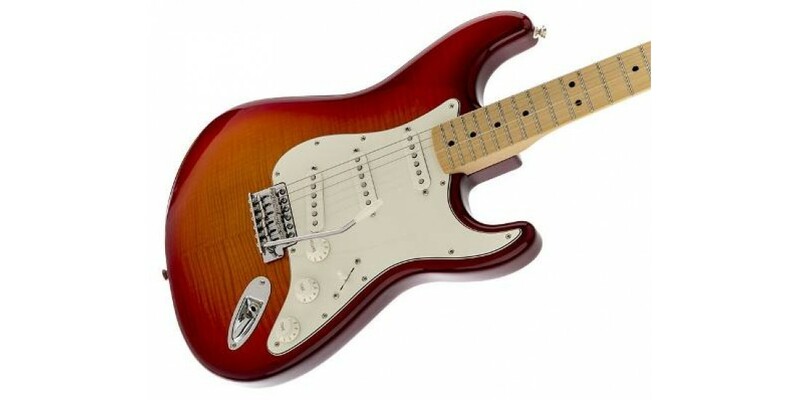 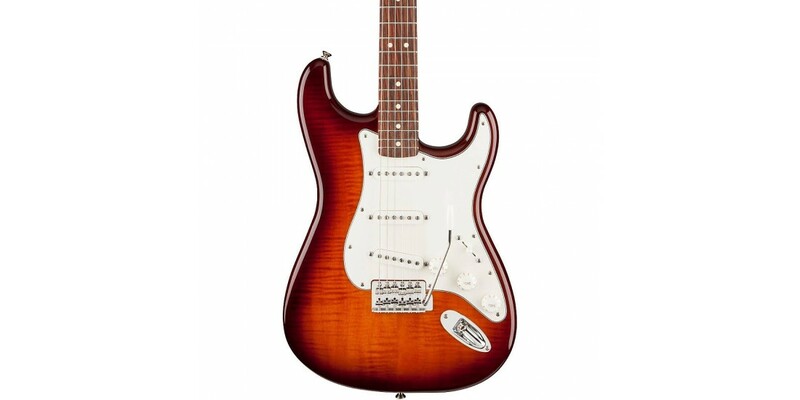 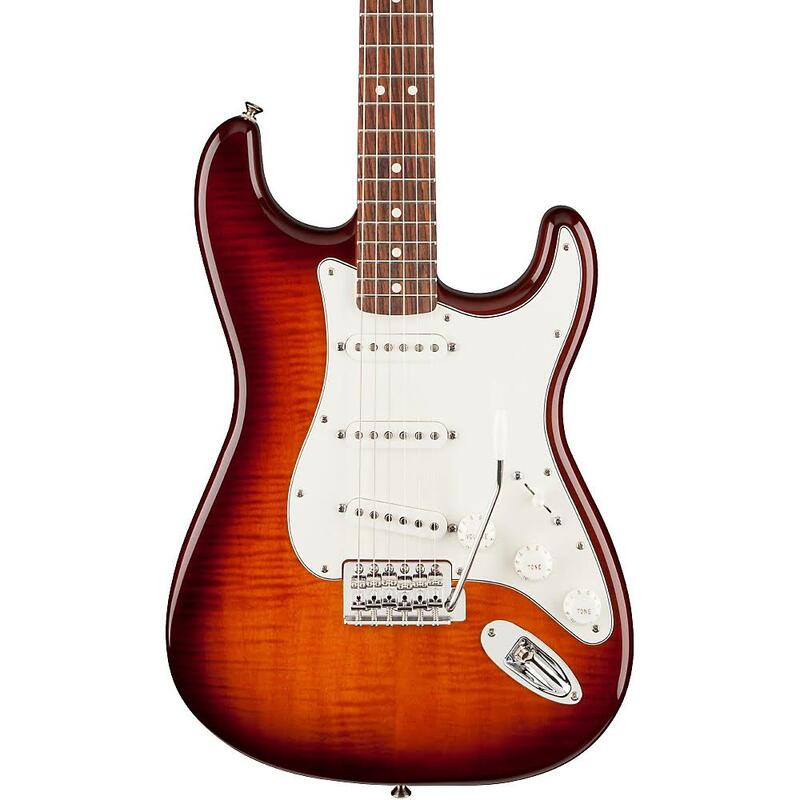 The Standard Stratocaster Plus Top delivers famous Fender® tone and classic style, with the added elegance of a flame maple top on the alder body. 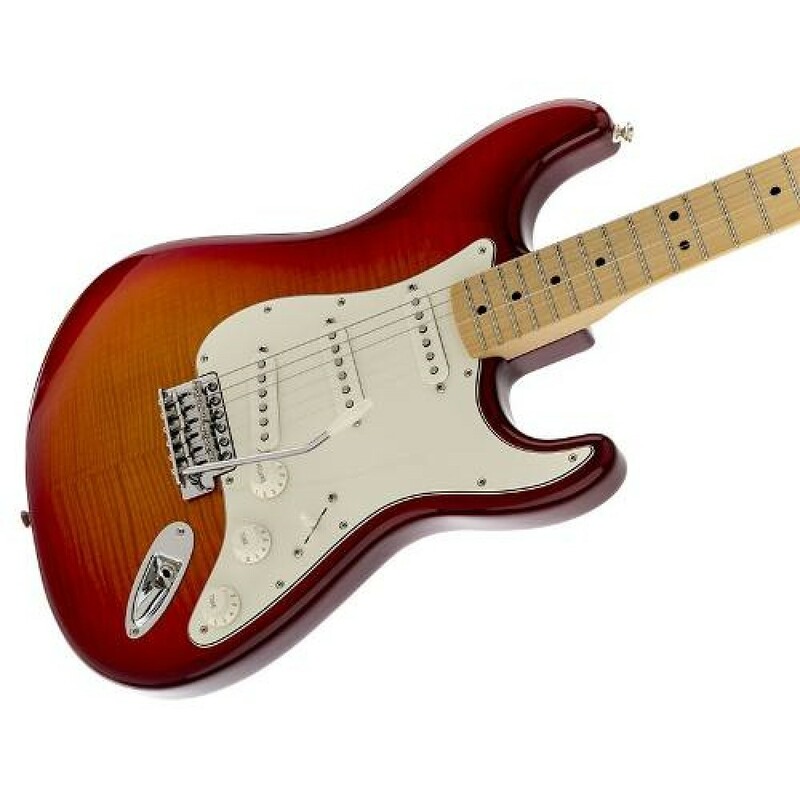 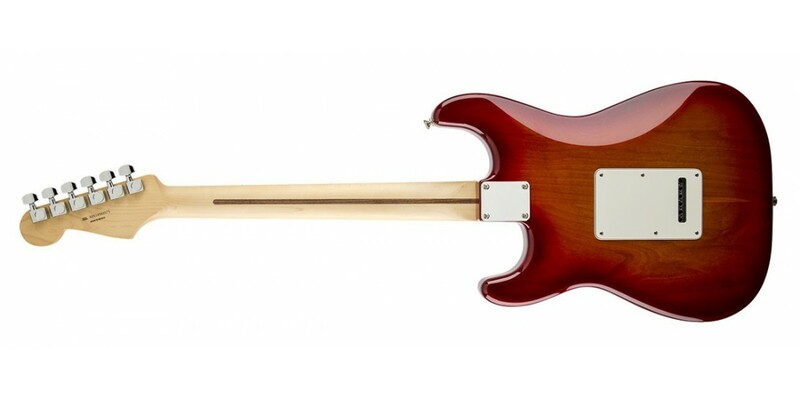 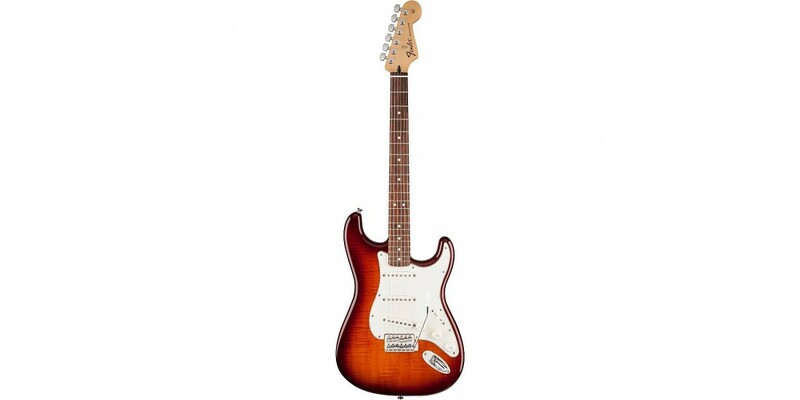 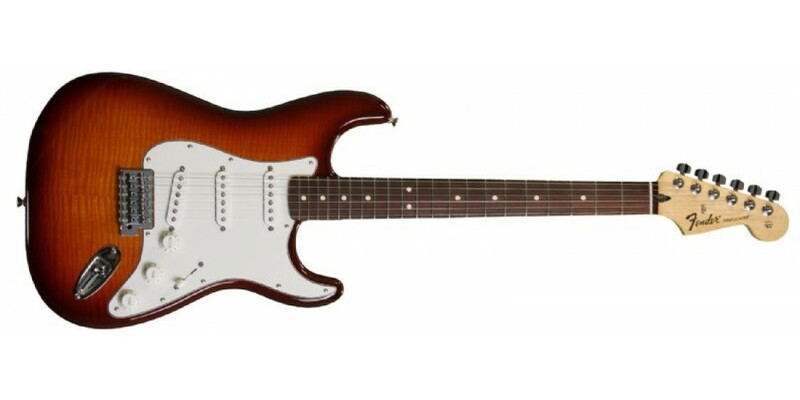 Other features include three single coil pickups, tinted maple neck with modern C- shaped profile and satin urethane back finish, rosewood or maple fingerboard with 21 medium jumbo frets and 9.5 inches Radius, three-ply parchment pickguard and parchment control knobs, vintage-style synchronized tremolo bridge and '70s-style headstock logo. 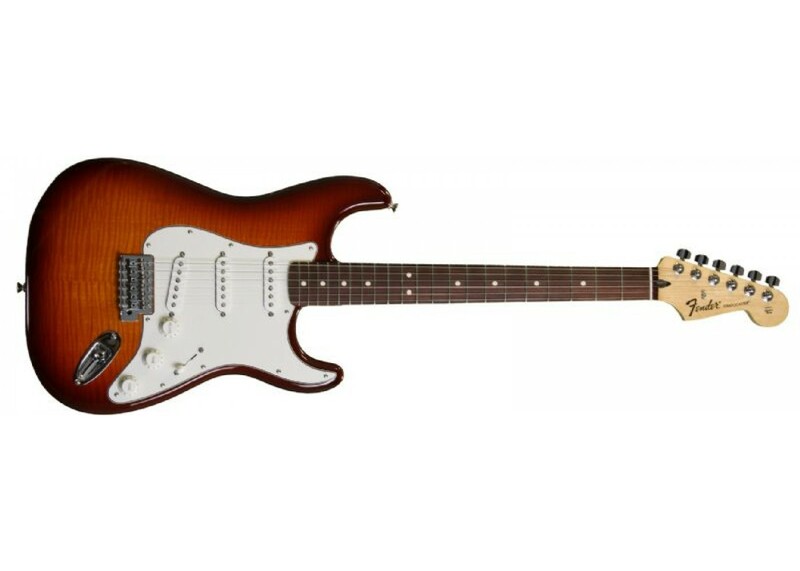 Available in Tobacco Sunburst (rosewood fingerboard) and Aged Cherry Burst (maple fingerboard).